With temperatures forecast for the upper-90s to 100° later this week, and heat indexes forecast to exceed that, County officials are urging residents to take precautions to protect themselves against heat-related illnesses such as heat stroke and heat exhaustion. Residents are also asked to check on elderly friends, relatives and neighbors who may be isolated to be sure they are not showing signs of heat-related illnesses. County facilities, including libraries, swimming pools, recreation and senior centers, as well as regional services centers, will be open and may provide respite from the heat. “Summer heat can be dangerous, especially for seniors and those with chronic illnesses,” said County Health Officer Dr. Ulder J. Tillman. “It is important for all of us to check on our friends, relatives and neighbors to make sure they are safe during extreme temperatures. Stay indoors, whenever possible. Visit nearby air conditioned buildings in your community if your home is not air-conditioned. In addition to County facilities, residents can visit shopping malls, movie theaters and museums. A hyperthermia plan for homeless shelters has been activated and shelters that are normally closed during daytime hours will remain open so that individuals can stay indoors. Progress Place in downtown Silver Spring will remain open from 8 a.m. to 6 p.m. for all homeless individuals. Be careful to avoid strenuous activities that can result in overexposure to the sun, such as sports and gardening. If you must do a strenuous activity, do it during the coolest part of the day, which is usually in the morning before 9 a.m. Libraries, recreation centers and pools are good places to cool off, along with shopping malls and movie theatres. To quickly find the location of public facilities, go to http://www2.montgomerycountymd.gov/mymontgomery and type in your location. The website includes the locations of pools, parks, libraries, regional services center, recreation centers, Metro stations and hospitals. Residents with questions about specific locations and hours of operation should call 3-1-1 or 240-777-0311 from a cell phone. 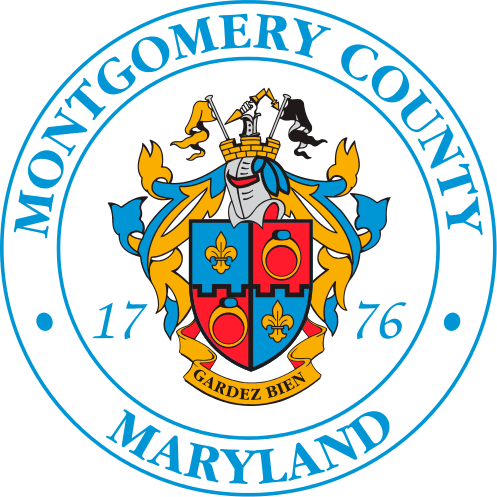 Anyone without air conditioning and unable to get to a cool facility should call the Montgomery County Crisis Center at 240-777-4000 for assistance. Avoid drinks containing alcohol, or caffeine or, high amounts of sugar. When outdoors, wear proper protection from the sun. Light-colored clothing, a hat, sunglasses and sunscreen protection are recommended. Never leave young children, the elderly, or pets in a car for ANY amount of time, even if the windows are cracked open. The Montgomery County Animal Services and Adoption Center staff recommend that domestic animals be kept indoors during periods of extreme heat. Many types of animals can be subject to serious injury and possible death from a variety of heat-related causes. Animals that must remain outdoors need to be provided with shade and given plenty of water. Executive Regulation 10-10AM, Anti-Cruelty Conditions for Dogs, Section 1.0-II-D is enforced in the summer months as long as and/or whenever the Weather Service issues an Excessive Heat Warning. This regulation states that, “A person must not tether a dog under circumstances that endanger its health, safety, or well-being, including: unattended tethering of a dog during a weather emergency.” The penalty for this violation is a fine of $500. Heat stroke: the most serious sign of overexposure. Symptoms include red, hot, dry skin, weak pulse, rapid breathing and changes in consciousness. Seek emergency medical attention by calling 9-1-1. For general information about County programs and services, call 3-1-1. For more tips on having a safe and enjoyable summer, please go to the County’s Summer of Safety A to Z page at montgomerycountymd.gov/summersafety, or on social media, follow tweets with #MoCoSafety.